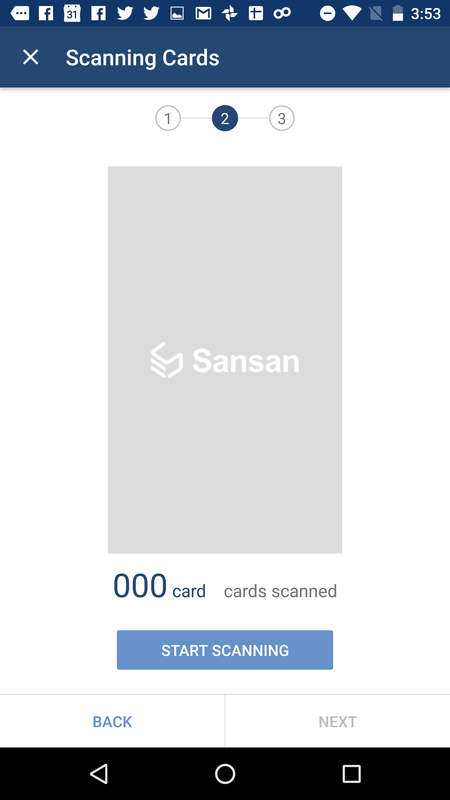 Here we will show the procedure for scanning business cards using the ScanSnap iX500 Sansan Edition. * For using this function, the following tasks need to be done. 1. 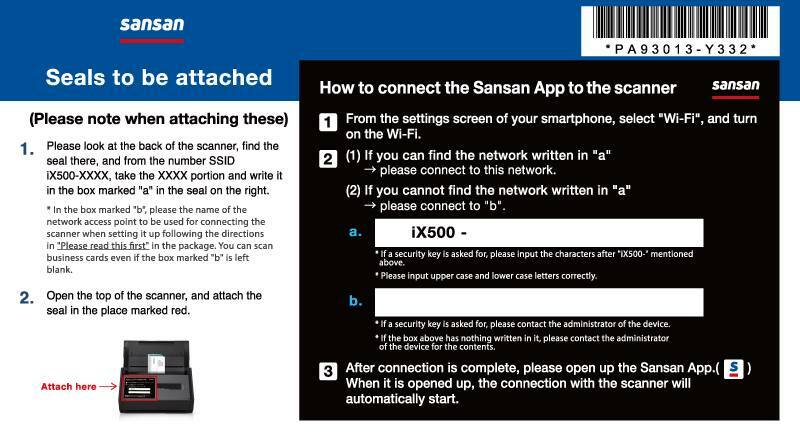 Attach the sticker (shown below) included in the Sansan Edition package, carefully following the instructions for what to do when attaching it. 2. 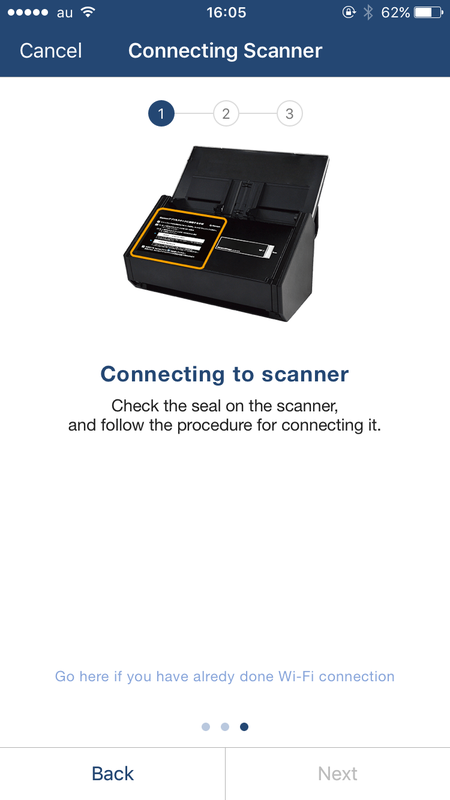 In the (a) area of the sticker, write the SSID that is on the back of the Scanner. * If you cannot find the sticker, please speak to the people you purchased it from. 1. 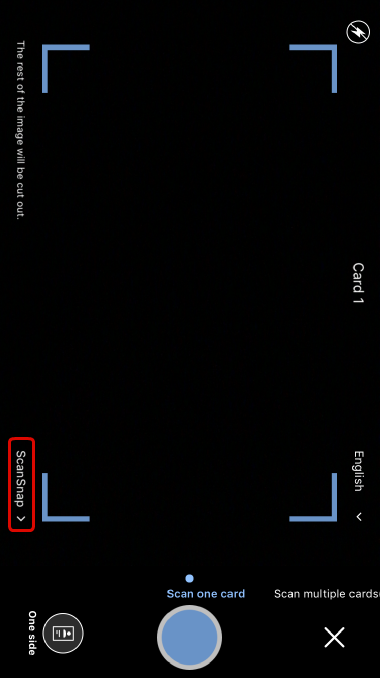 From the Business card registration menu (Android: from the "Settings" screen) , select "Scan with ScanSnap". 2. 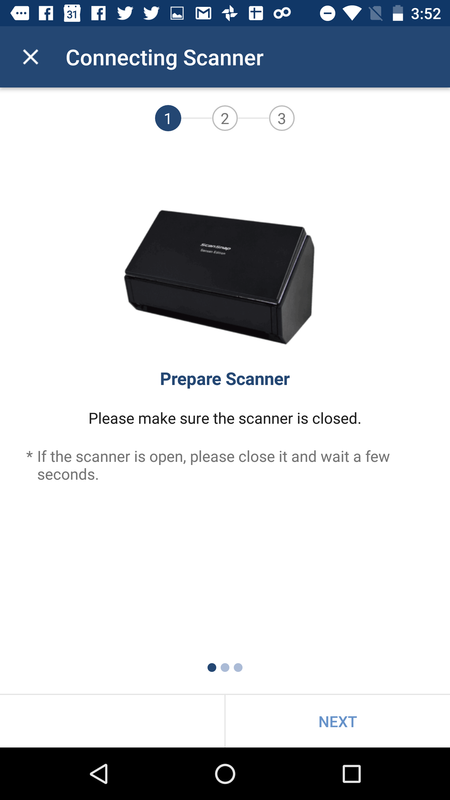 Connect the power of the Scanner, and close the cover. 3. 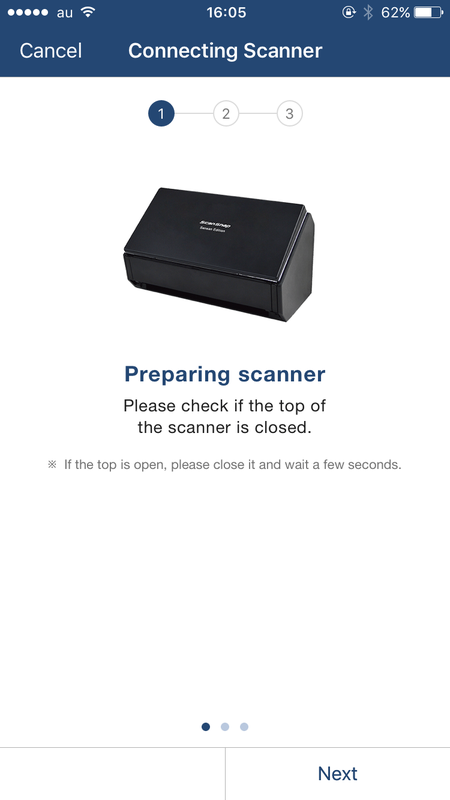 Open the cover of the Scanner. (When you open it, it will turn on). 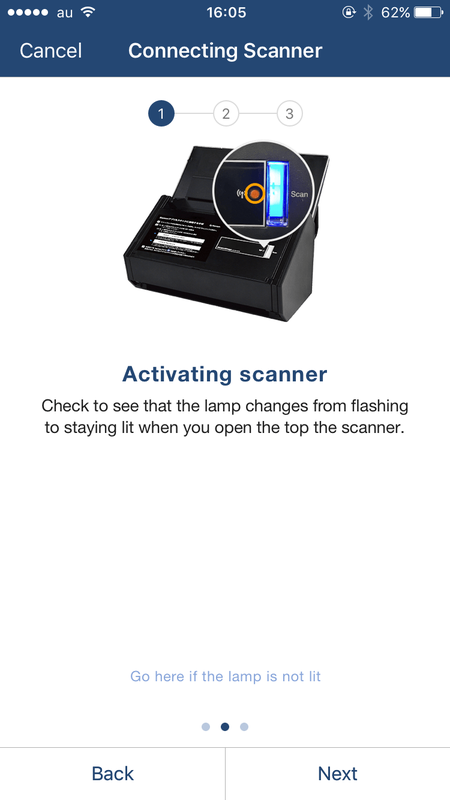 * If you are using the Scanner in Direct connect mode, the lamp will be lit orange. 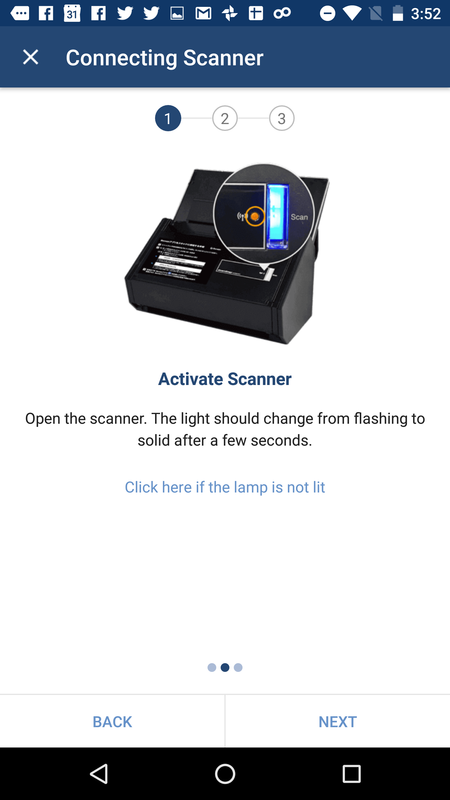 If you using an access point to connect, the lamp will be lit blue. 4. Check the sticker attached to the Scanner, and connect your smartphone and the Scanner through Wi-Fi. 5. After connecting to the Scanner, set business cards in the scanner. 6. Scan the business cards. 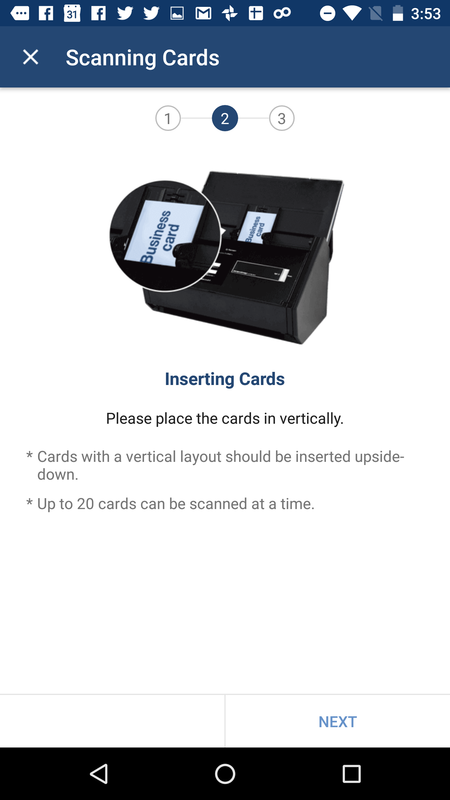 * Up to 100 business cards can be scanned at one time. 7. 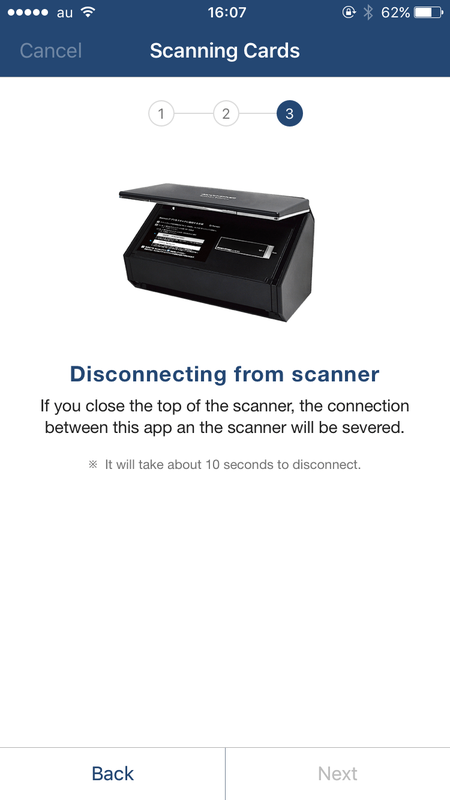 End the connection between the Scanner and the smartphone. 8. 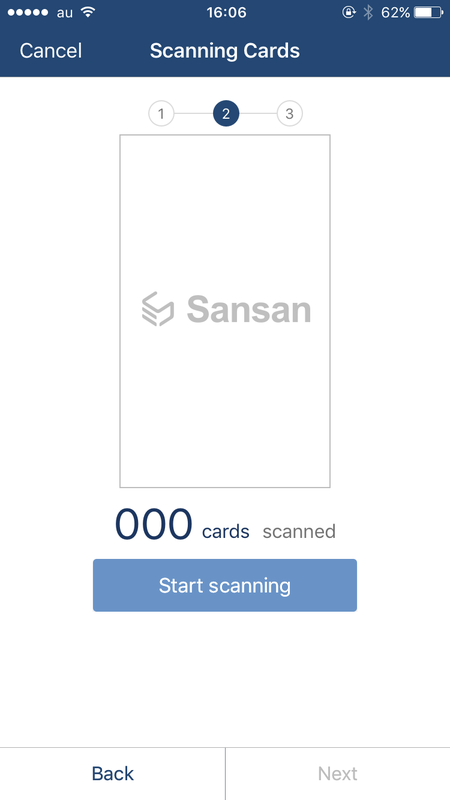 Register the business cards you scanned. 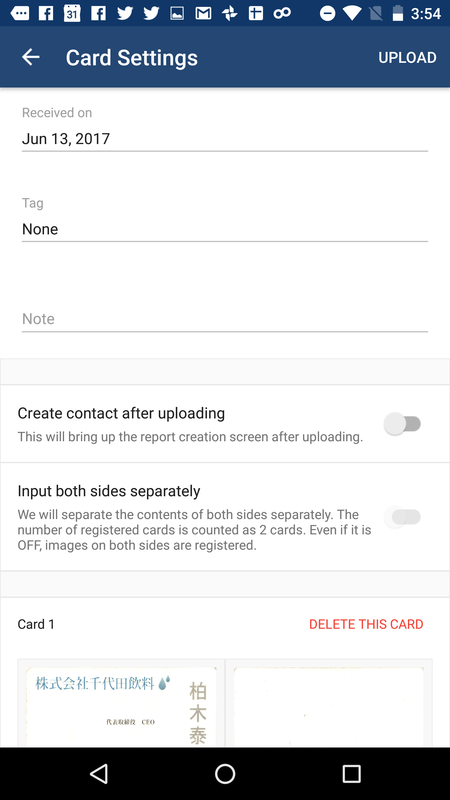 * Depending on the number of cards scanned, it may take a few minutes to finish sending them. 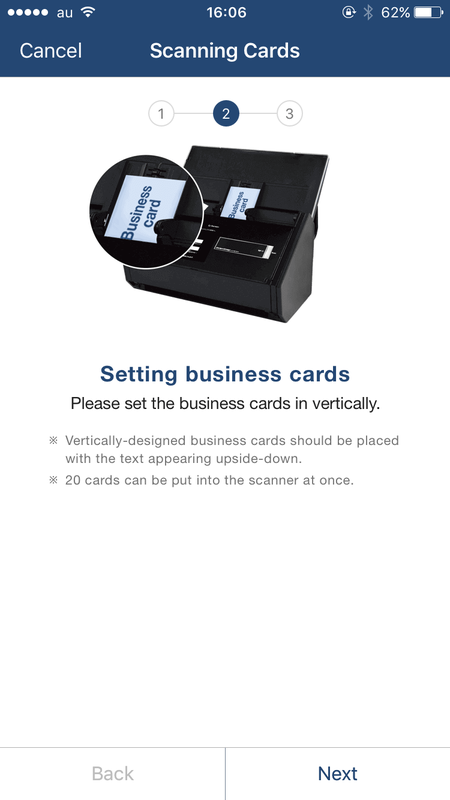 Get started scanning business cards with ScanSnap now! 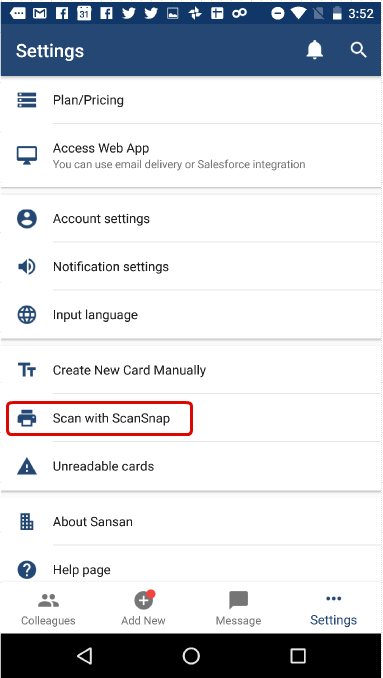 * With versions of Android 5.0 or later, with some phones you will not be able to use the business card scan function with ScanSnap depending on the network settings. We are currently working to address this. We request your patience. 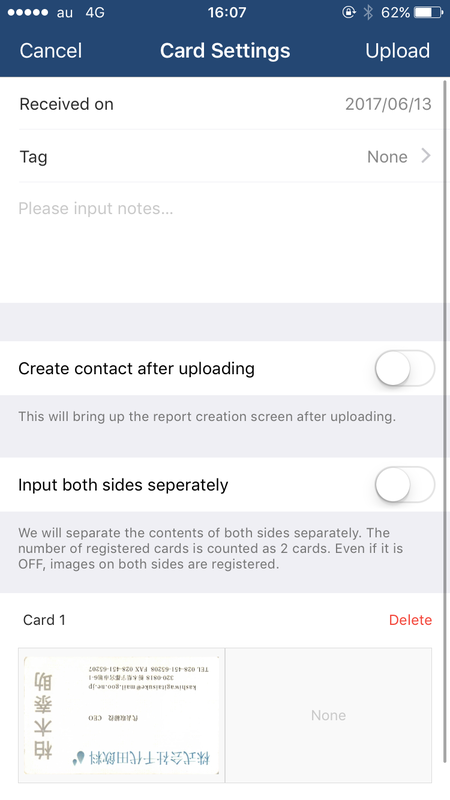 What is the License Activation Key?